What Type of Walk-In Tub Do You Need? First, you need to determine what you want out of your walk-in tub. Some people simply need to soak in a deep pool of warm water to relax and relieve pain. 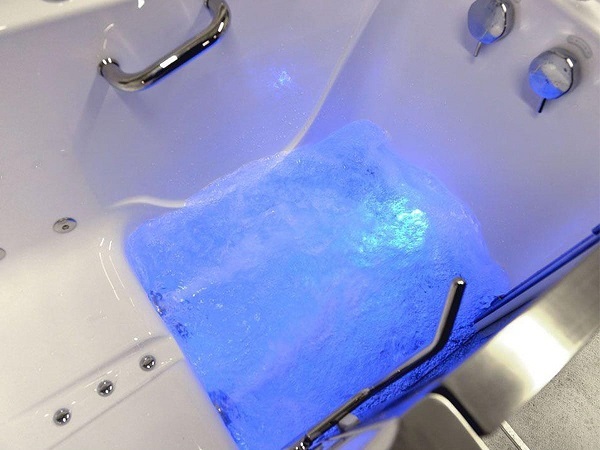 Others want a spa-like experience with their bathwater bubbling and different, jewel-like colors blinking to brighten their moods. Although most walk-in tubs include narrow doors on the side that you must step through to enter, specialized wheelchair-accessible tubs are even easier to use for those with less mobility. 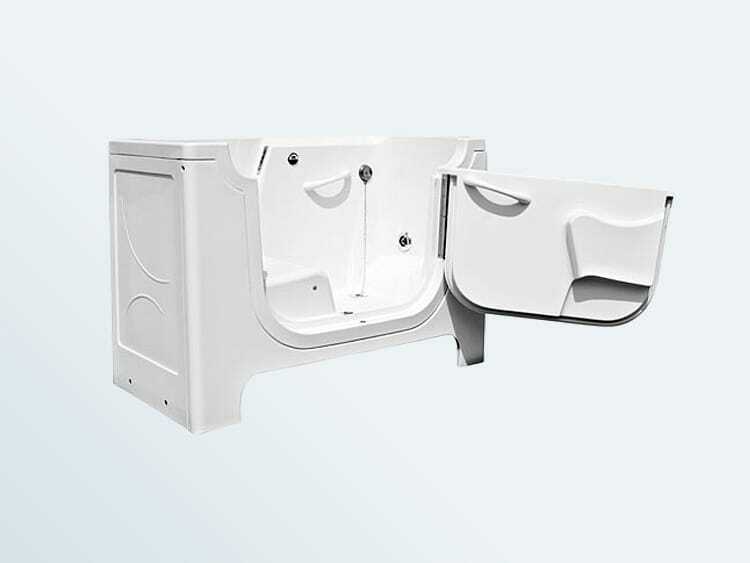 We have extensively researched the variety of walk-in tubs on the market and included our top picks for a range of needs. Read more to learn about each type of tub and get the information you need to choose the best walk-in bathtub for you. This is the most basic type of walk-in tub you can buy. A soaker tub usually includes basic safety features to make it compliant with the Americans with Disabilities Act, such as a built-in seat, a grab bar and a textured floor to prevent falls. You may also get fast-acting drains so that you don’t have to wait long before stepping out of the tub. Water-based therapy can relieve pain and increase mobility for people who suffer from injuries, arthritis and other conditions. Water jets can provide a relaxing massage as the bubbles rise to the surface, promoting a comforting and peaceful atmosphere. A walk-in tub that includes water jets also often includes an in-line heater to keep the water warm while you bathe. 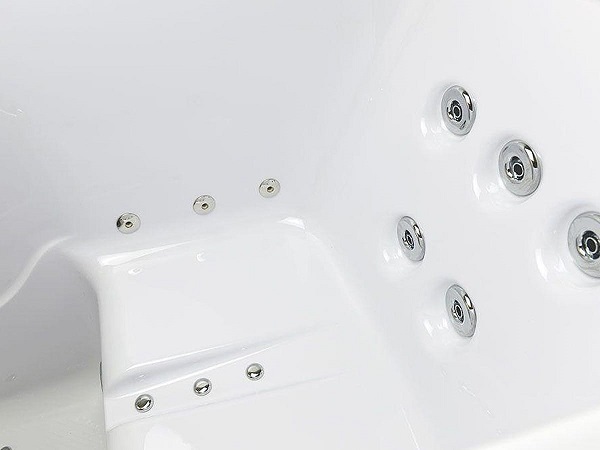 Unlike whirlpool (water-based) bathtubs, which pump water through the tub, air-jetted models use compressed air to move the bathwater into the tub. If you find it difficult to decide between whirlpool and air jets, and your budget allows, you can also look at models with a combination of both jets — giving you the best of both worlds. Our top pick for walk-in bathtubs, the Ella Ultimate Acrylic Walk-In Spa Bath, includes 26 combo water and air jets for an in-home spa experience. 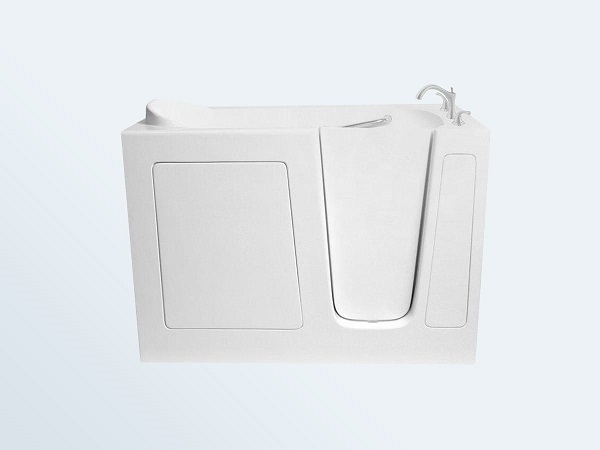 Walk-in bathtubs are similar in size to standard bathtubs, though most bariatric models are wider than standard walk-in bathtubs, sometimes by more than a foot. Bariatric tubs also have wider entrances. A narrow entrance and seat can be uncomfortable for some people, and standard walk-in tubs are made for people who weigh less than 300 pounds. A bariatric walk-in tub includes a wider opening and a larger seat to accommodate people of any size. These tubs include the same safety features as regular walk-in tubs, such as textured floors, grab bars and short thresholds. have larger door openings than standard walk-in tubs, making entry easier. 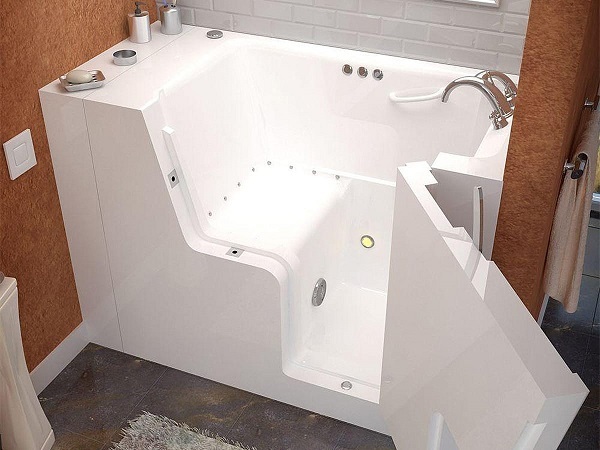 One of the issues with a walk-in tub is the narrow opening that is next to the built-in seat, which makes it nearly impossible for someone who cannot walk to get into the tub without help. For these circumstances, wheelchair-accessible tubs have large doors that open wide, with clear access to the chair-height seat, making it easier to slide from a wheelchair to the tub, such as the Universal Tubs Wheel Chair Accessible tub. It is important to note that because the door opens wider, more clearance is required in the bathroom, so these are not good choices for tight spaces and small bathrooms.